Squats are one of the most important exercises that people can perform. Not only is it extremely efficient and capable of developing functional strength in the individual, but it can also be a great way to warm up for future exercises. 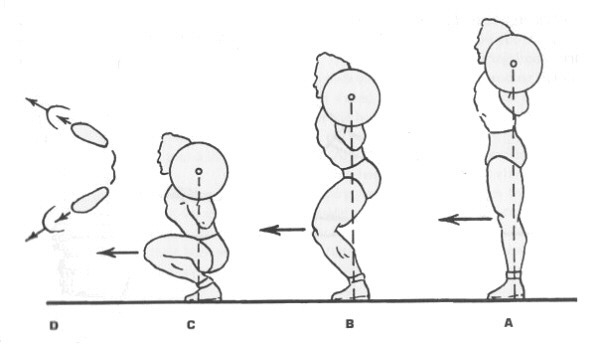 However, I noticed that one of the biggest problems that people have with squats is getting the form right. Learning how to squat means taking the time to understand the squat form and how it can be optimized to create the desired results. Before you get started with any workout regimen, it is strongly recommended for you to learn more about the squat’s form itself. 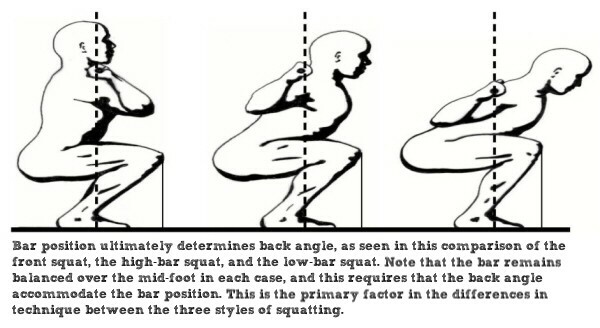 For everybody asking about what is the perfect squat form, it is crucial to begin with the right stance. The first thing that you should learn how to do correctly is positioning your upper body. Imagine snapping into a standing position, with your head up and your shoulders back. This is the perfect positioning for your spine, and one of the most important parts of getting the form right. You need to have your head back, your chest raised, and your lower back slightly arched. When you have achieved this stance, you will be ready to move on to the other aspects of a proper squat technique. When you have established your back’s position correctly, the next step is making sure that your feet are set in a correct way too. Set them shoulder width apart from each other and maintain your back’s position. It is important for you to keep your back and shoulders as straight as possible, only arching your back as you move down. 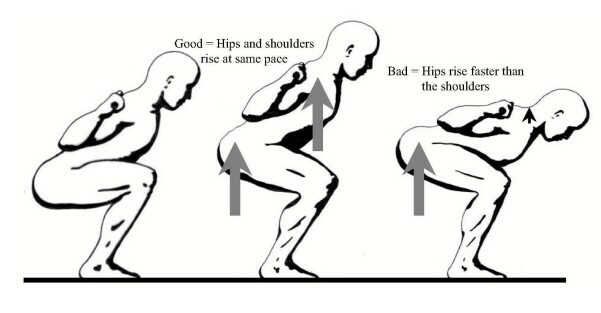 Getting the right position will also help make sure that you perform each squat correctly. When you are in the right position, you can feel the burn better, and, as a result, get the gains that you have always wanted. 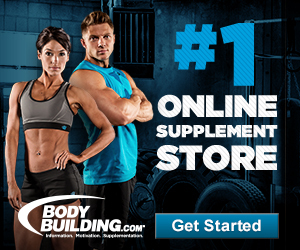 One of the best ways for you to do squats is through the power rack position at a gym. This can be great for those who want to adjust their workout until it is perfectly comfortable. The pins can be set in any of the weights to make sure that you are pulling what you need to. These pins can also be a great way to establish your visual depth, giving you a focus point to help you keep your movements correct. Your eyes are one of the most important parts of the workout, as they will help you determine whether or not your back is as straight as it needs to be throughout the workout. A lot of people get started by using towels and other types of padding beneath the bar. I personally do not like to do this because it creates little areas of instability that make it really difficult to continue with the workout. If you feel like you are struggling with your workout, you need to stop it as soon as possible in order to avoid damaging your muscles or causing some other types of long term problems. Always think with safety in mind. 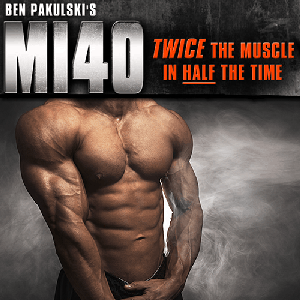 When you are ready, step up to the bar and keep your hands the same width as the bench press. Make sure they are completely even with the bar before you unrack as well. Grip firmly and take a deep breath, stepping under the bar as you unrack it. 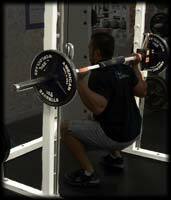 The vast majority of squat injuries occur when people do not step back correctly. Only take a few steps back to give yourself the room you need before continuing. You do not have to go all the way back, just enough to clear the machine. Adjust your hands as appropriate and make sure that you have the grip you need. Put your feet into the starting position when you are ready. When you are ready to descend, it is important for you to go as slow as possible. Be sure to take a deep breath and start by contracting your abs. The descent should feel as though you are going to sit back on a chair behind you. Do not go straight down, and keep your knees in line with your feet. As you move, it is important for you to avoid bowing your knees as much as possible. This can results in sprains and other problems if you are not careful. Always be sure to start with a light load to prevent overloading. It is important to remember that all exercises are ultimately done for your benefit, so if you do not do them correctly, you are only hurting yourself. I prefer to keep my shin at a ninety degree angle with the ground, which is easier to do with a wider stance. Regardless of the way your feet are positioned, it is strongly recommended for you to get as close to parallel as possible without hurting yourself. As soon as you start to notice the strain, slow down and get ready to move up. Your position should be upright on your way down, no matter how much of a load you are carrying or how spaced your feet are. Be sure to bend at the hip and avoid putting too much pressure on your spine. When you feel that you cannot move any lower, you will be ready to ascend. It is crucial for you to reverse your direction as soon as possible, but keep your movements equally slow and even. As you move, try to pull your back up as hard as you can during your ascent. When you stand back up into a proper position, you will be ready for another rep. Repeat the process as many times as you feel that you can before setting the weights back. Always move as carefully as possible and save some of your strength for the removal of the weights. You want to tire yourself out as much as possible, but remember that safety first will always guarantee that you make the most of your workouts.